Most kids have never learned about money. Some of them even find themselves reaching adulthood without knowing how to manage money well. The use of money games for kids has been one of the best ways to entertain the whole family while teaching your kids about money. I don’t want to talk about Monopoly here. Everybody knows that classic already! 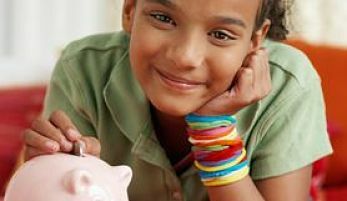 The following list contains 11 great video, online, and board games that teach kids basic financial skills while they have a lot of fun! 1. Wuzzit Trouble (8 years and up) – This is a free video game and app that anyone can play. While helping the cute little Wuzzit characters break free, players develop their mathematical conceptual thinking skills. Kids learn math better when it’s combined with action. No one learns to ride a bike by explanation alone. Why should math be any different? 2. Awesome Island (10 years and up) – This is an award winning online simulation that introduces kids to many aspects of investment finance, including credit, debt, salary, investments, and philanthropy. 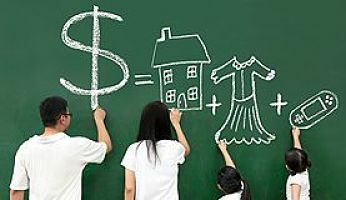 It will teach your kids to a lot of important ideas about money, including long term goal setting and understanding the consequences of poor financial decisions. Number Blaster – kids can test their addition skills and reflexes. Counting Money – a fun math skills money game. What do YOU know about Business? – a business basics quiz. Business-Building Brainstorm – a game about starting and growing a business. 4. The Game Of Life (10 years and up) – This board game emphasizes smart decision-making, especially smart financial decision-making. It will also teach your kids how to earn bonuses, helping them learn how to become more financially independent. 5. Payday (8 years and up) – This is a favorite board game for many families. This game uses a monthly calendar that allows players to monitor their monthly paydays. It has also includes financial pitfalls like bad investments and extra bills, as well as financial bonuses like winning the lottery and investment opportunities. The player with the most money wins the game. 6. Careers Game (8 years and up) – This is an educational game that helps develop memory. Depending on the career a player chooses in the game, he or she will get a success formula like Fame, Happiness, or Fortune. This formula will help achieve the game’s financial goals. The player who achieves these goals in the shortest time possible wins the game. Playing this game is a lot of fun and your kids will secretly be learning the whole time. 7. Thrive Time For Teens – A great monetary board game for kids! In this game, players have to make businesses investments and work part time jobs while making decisions about paying for college, buying cars, and more. This will help give your kids the skills they needed to make sound financial lessons. 8. Wise Money (13 years and up) – This is a family board game about financial literacy. This money game will teach your kids about budgeting, payday, banking, credit, investing, and financial responsibility. It provides your kids with realistic scenarios where they must show their basic financial knowledge and skills to move successfully through the town. 9. The Farming Game (10 years and up) – In this game, players sell livestock and plant crops while trying to turn their farm outputs into successful businesses. This game focuses on farming play technique, but it will also help your kids to learn about financial skills while having fun. 10. The Allowance Game (5 years and up) – This money game has players move around the board while doing chores to get their allowance. It then gives the option of spending that money or saving it. By playing this game, your kids learn to add, subtract, and see how money is used in real life. 11. Sum Swamp Game (4 years and up) – Math becomes an adventure in this game. It is a nice change from normal math books. It’s a great learning game for pre-school and kindergarten children. It will help them work on even and odd numbers, addition, and subtraction. It’s never too early for children to learn how to handle money. Teaching your kids about money should be like teaching them a sport. Kids learn from mistakes and playing these money games will help them improve and practice without any worries. Money games are a wonderful way to learn important life skills while having fun. These money games for kids teach crucial skills that will help your children succeed.